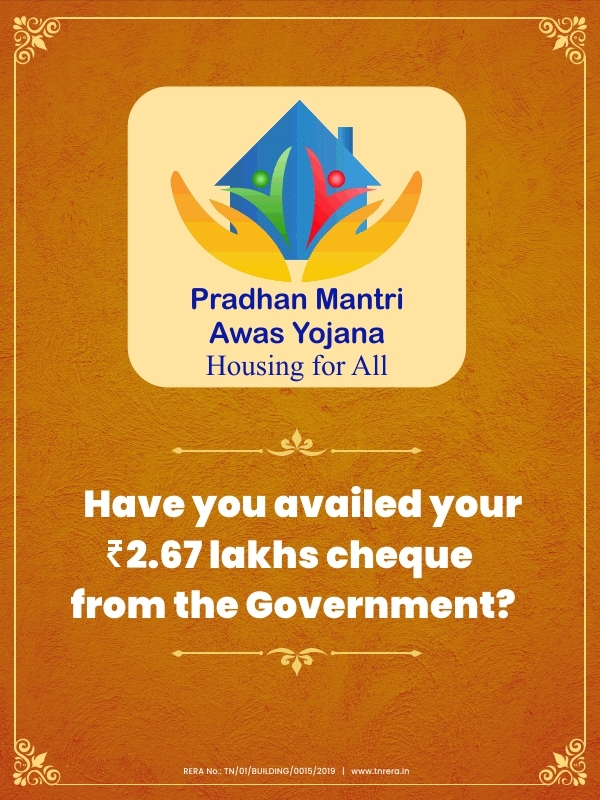 Aspirational Homes, Bang on OMR – Padur! 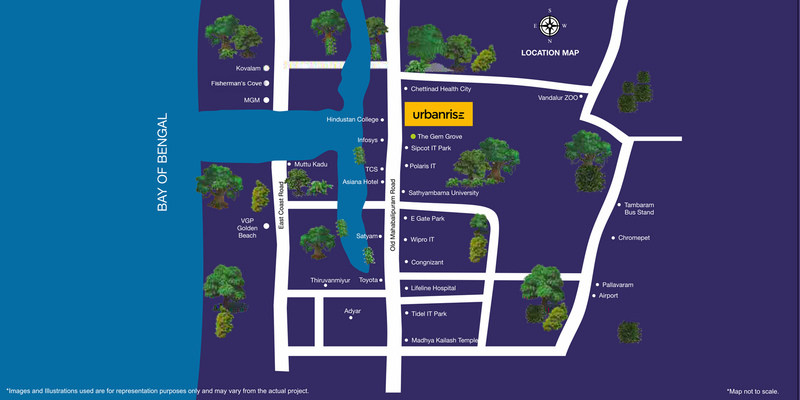 Urbanrise’s Code Name Million Carats is a unique, integrated and top-notch Residential apartment project in OMR. It is the most defining Gated Community Township in OMR which is located at Padur. 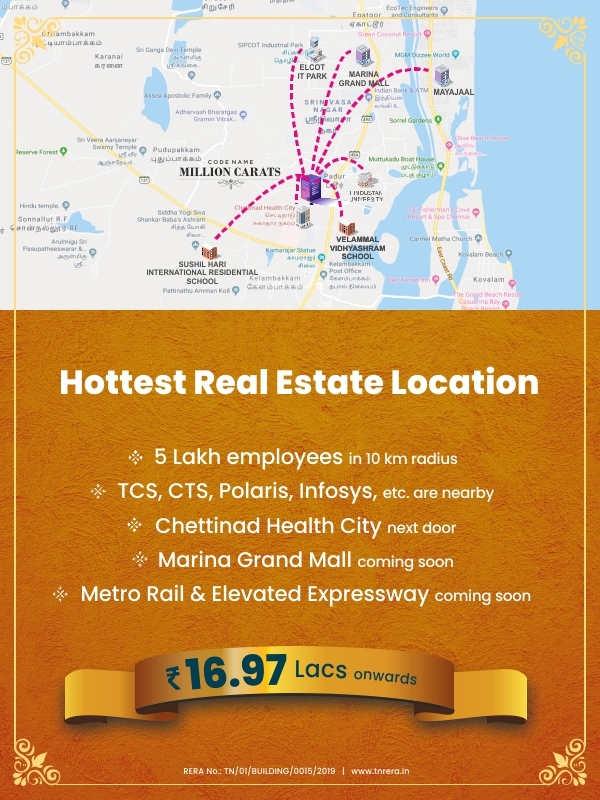 Apart from its stellar location and state of the art amenities that define a premium lifestyle, Million Carats will multiply your Investment as well as setting a new benchmark for apartments in Chennai. 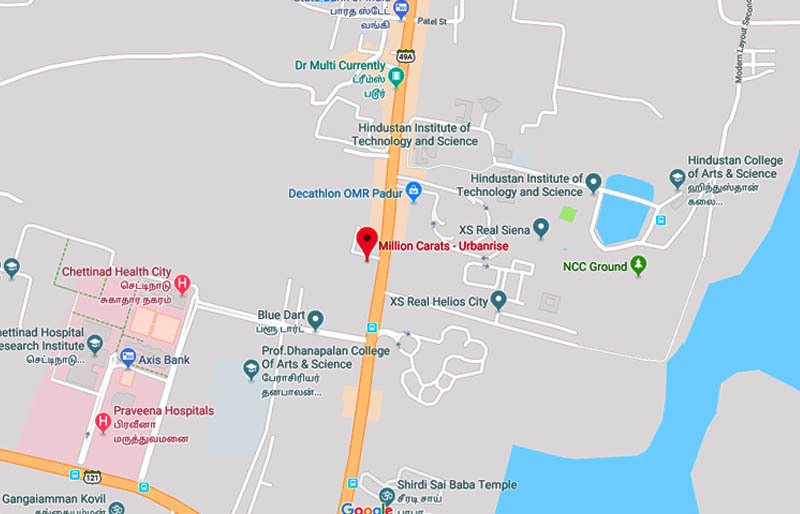 Strategically located on the growing residential stretch of OMR, Chennai, Million Carats, an investment property, assures its residents a perfect work-life balance. There are more than 150 companies with 3+ Lakh jobs on the OMR stretch and poised to double in the next 2 years. 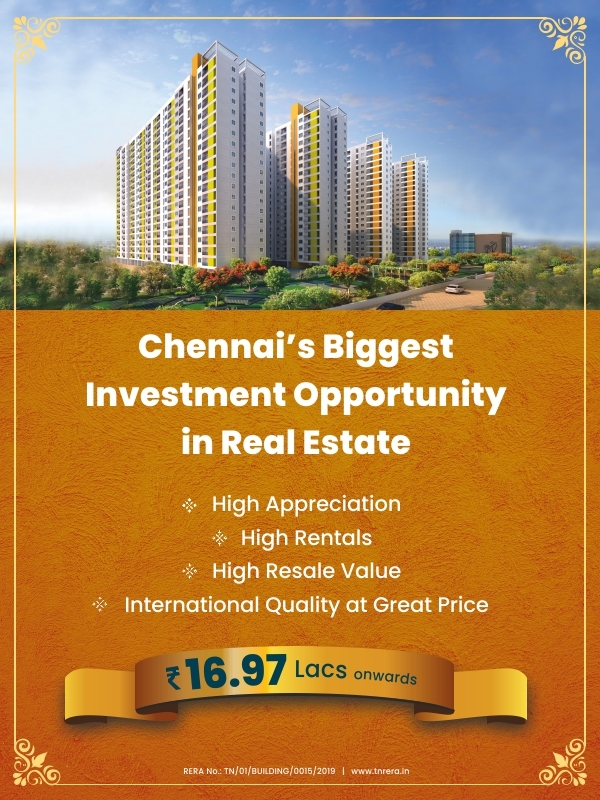 With the Taramani to Siruseri elevated IT corridor and the forthcoming Metro Rail project (Under Construction), the real estate value and returns in Padur neighborhood are expected to touch a new peak very soon. Million Carats offers an investment opportunity that will ensure you ride the growth curve. 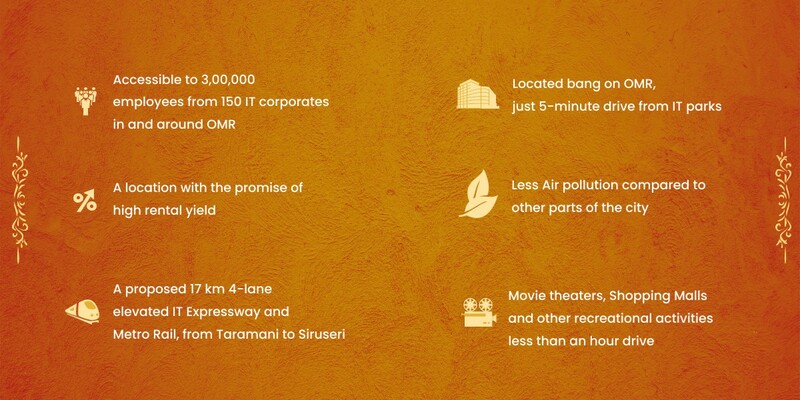 Situated Bang on OMR IT corridor, Million Carats offers the best-in-class gated community apartments at Padur in the following variants with world-class amenities. Make Million Carats your dream Apartment in OMR by downloading our floor plans and enliven your dream home in no time! Million Carats offers you the greatest gift of all; more time for yourself and the family. 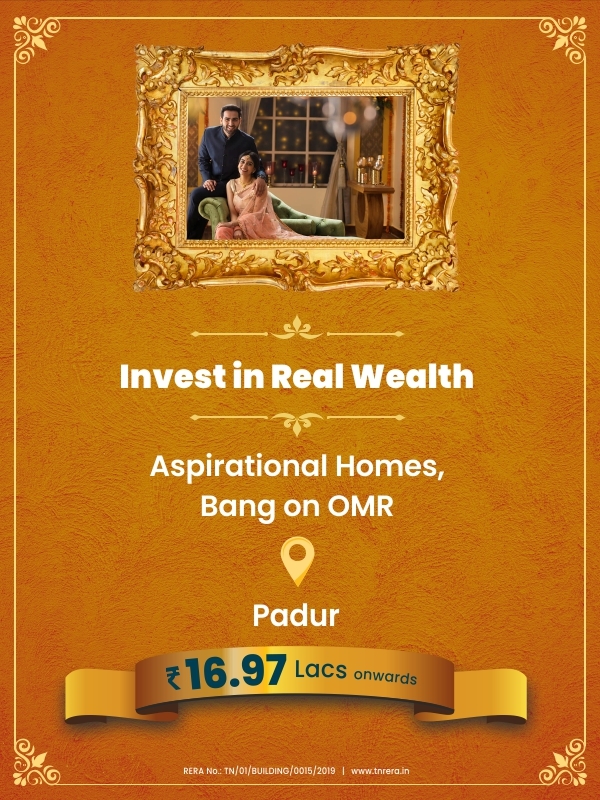 Its premium flats for sale in Padur on the OMR stretch offers luxury amenities, a self-sustaining neighborhood, schools/colleges, hospitals, and transportation hubs within arms reach. 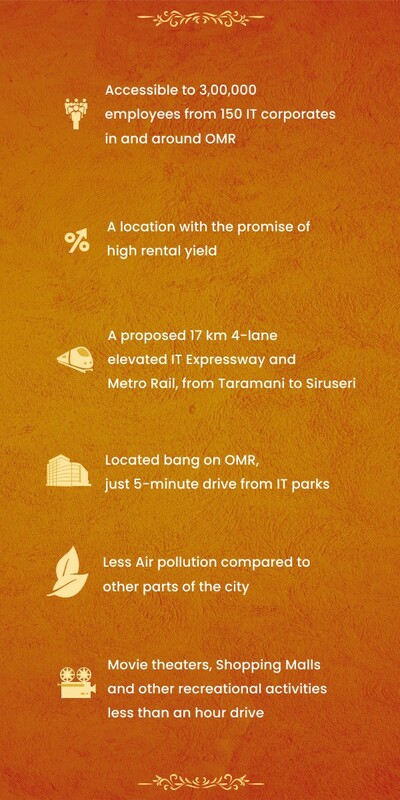 With connectivity to hundreds of companies and thousands of jobs in the vicinity of OMR, helping you strike the right work-life balance. What more does your family want from you than your time! Make Million Carats your dream Apartment in OMR by downloading this brochure and enliven your dream home in no time! The content in this website is meant for general information purpose/s only. 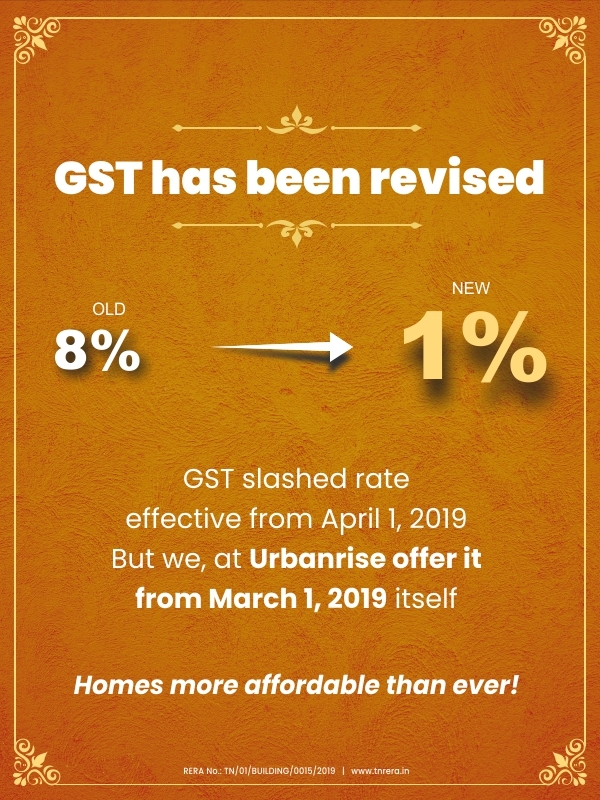 Though, enough care is taken by Urbanrise Constructions LLP to ensure that information on the website is up to date, accurate and correct, readers are requested to make their independent inquiry before relying upon the same. 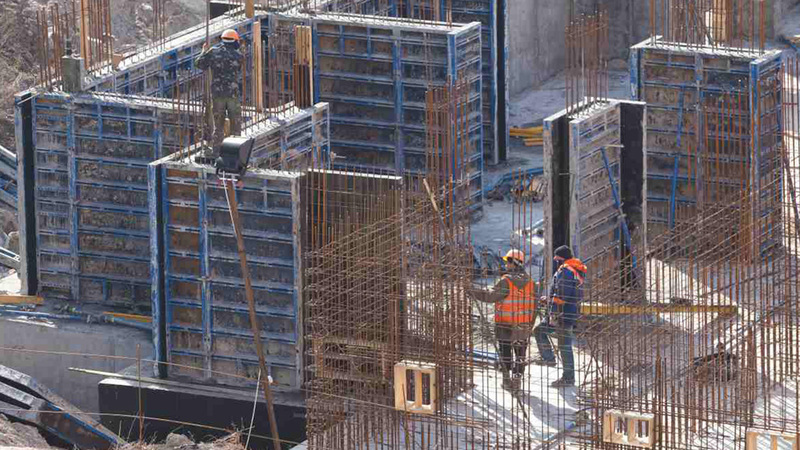 In no event, will Urbanrise Constructions LLP will offer any warranty on the information made available, or will be liable for any loss or damage including (without) limitation, indirect or consequential loss or damage in connection with, the use of information in this website. By using or accessing the website, you agree to the Disclaimer without any qualification or limitation. Design, specifications, floor plans, brochures and interactive plans etc., are subject to change without prior notice. Computer generated images; walkthroughs and render images are the artist’s impression and are an indicative of the actual designs. The contents of this website are meant to provide information to the readers of this website about ourselves including our various projects. They are only for general information and are subject to change. By no stretch of the imagination, the information on the website shall be construed as an advertisement and/or invitation or offer for sale. 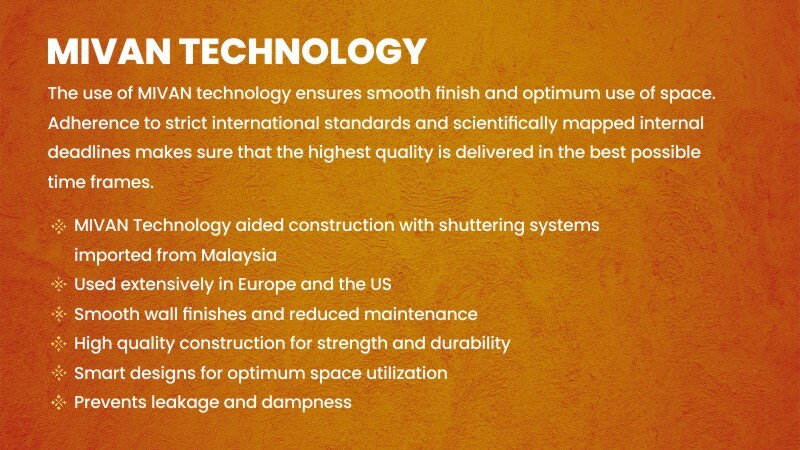 To find out more about projects/developments, please drop a mail to info@urbanrise.in or visit our sales office during working hours and get in touch with authorized Urbanrise Constructions LLP representative. Please note that by sharing any of your contact details on the website, you are authorizing the Sales team of Urbanrise Construction LLP (even if you are registered on the DND Registry) to provide information on our projects over Calls, SMS & Emails.